D. V. Polymers is envisioned in year 2006 under the leadership of Visionary Mr. D.V. Prasad and growing one of the fastest firms offering complete range of corrosion resistant products under one roof. 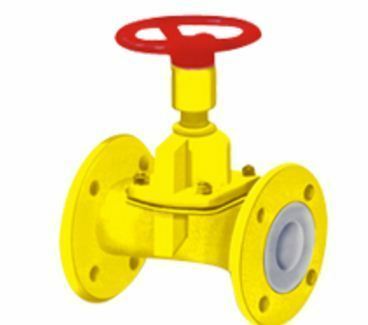 During last Seven years the firm has emerged as one of the most preferred vendor in the area of manufacturing and supplying of Fluoro Polymer Lined Pipes, Fittings, Valves and Industrial Vessels by leading industries in the domain of Chemical, pharmaceutical, agrichemical, petro Chemical, Oil and Gas, Paper Pulp and General Engineering. Adhering to the standard International metrics set by ASTM (American Society for Testing and Materials) and DIN.. etc. DV Polymers have vast range of Corrosion Resistant Products namely PTFE, PFA, FEP, PVDF, PP and HDPE Lined Pipes, fittings, valves, Sight flow Indicators, Hoses and Teflon Components (PTFE Bellows, Gaskets, Sheets, Rods, T-Bush and all machined components). DV Polymers besides manufacturing above range of products also deals in ETFE (Tefzel®) and ECTFE (Halar®) Coated Industrial Equipments, P.P / HDPE / PVDF Lined Pipes and Fittings. DV Polymers India Pvt. Ltd. based at Patancheru, hub of Hyderabad Industries in Andhra Pradesh, India; DV Polymers is fully equipped to manufacture DIPPN (Dupont India Preferred Processor Network) Fluoro Polymer (PTFE, PFA, FEP, ETFE, ETCFE) lined pipes, fittings and valves, Coating for Vessels by using carbon steel, castings, Stainless Steel. DIPPN (Dupont India Preferred Processor Network) Member : DuPont Fluoro Polymer Solutions : One of the largest chemical company in world. DuPont India certified, DV Polymers as preferred processors network Member for maintaining the quality in building and producing Lined Piped Systems (LPS) and Fittings from Teflon. Certified by International Standard Organization (ISO 9001:2008) and other leading quality assessment organization DV Polymers team of engineers provides complete line of services from manufacturing to after sales support to customers based in India, Middle East and European Countries. DV Polymers strong team of technical experts makes sure that the product is manufactured and tested to provide maximum satisfactory products & services to our esteemed customers. Being a quality conscious and customer oriented company. In an effort to provide our customers with world class products we keep upgrading ourselves with the change in technology and process requirements. By integrating the latest technology with conventional skills we are able to achieve desired standards at minimum possible cost.